It is estimated that $47 billion will be spent by US advertisers through programmatic advertising this year. 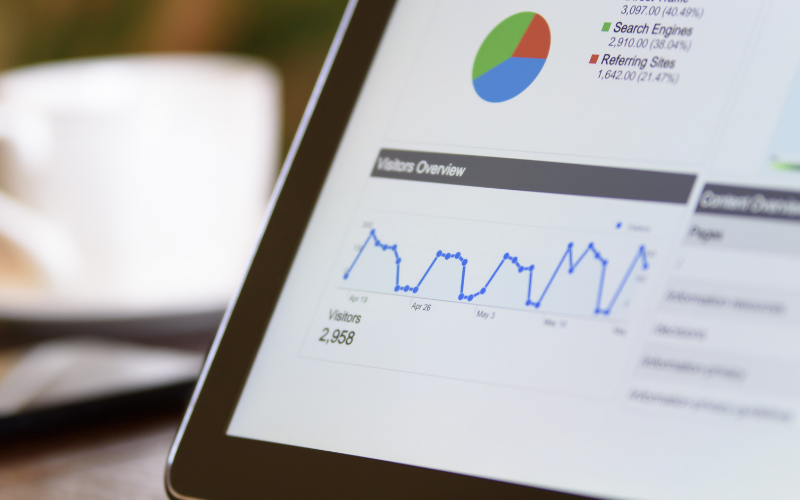 While some brands may be tempted to just stick with their conventional digital ad campaigns, particularly Google Display Network (GDN), the advantages of Programmatic Advertising and its growing popularity are worth a second look. Although programmatic advertising has been around for about a decade, many are still confused about how this digital advertising platform differs from GDN. Basically, GDN is an ad network that links advertisers to tons of publishers. Meanwhile, programmatic advertising is an automated manner of buying ad space done through an ad exchange or platform. Over the past several years, programmatic advertising has been gaining much popularity and has become the preferred way of buying digital ad space for many marketers. Automated channels now account to 82.5% of total digital ads spending. Below we compare these two ad-buying methods. How does Google Display Network work? Think of GDN as an intermediary or a middleman that connects advertisers and publishers. Using this ad network, you can segment your target audience based on demographics, geographical location, interests, domain, etc. It also enables you to control ad placements and schedule within a publication. The ad space can be a specific website, webpage on a site, mobile app, or an ad unit. GDN has a wide audience reach with over millions of websites around the world. The ad placements are pre-determined before you bid or buy. Programmatic advertising uses machine intelligence to automatically buy ad placements that are appropriate for your marketing goal. Unlike working with an ad network, in programmatic, advertisers connect directly to the publishers. There is no middleman. Ad placements are sold and bought in ad exchanges. An example of a programmatic advertising platform, Kedet is an ads exchange where you can automatically bid for ad placements. Advertisers need to use a Display-side Platform (DSP) where they can key in the target audience. On the other end, publishers use a Supply-side Platform (SSP) where they sell ad inventory to ad exchanges. Once a user enters a website, ad exchanges gather information about the visitor. If the visitor data matches your target audience, you automatically enter the auction and bid for the ad space. The highest bidder wins the auction and their advertisement gets displayed by the publisher. This process happens automatically in just a fraction of a second. Moreover, the auction, bidding, and purchase happen in real-time (RTB or real-time bidding). GDN has a wide audience base with access to all websites that have partnered with Google. It is estimated to cover at least 70% of the web. Meanwhile, DSPs have a wider web penetration and audience with more than 95% of websites partnered with it. DSPs have access to GDN’s ad inventory as well as other ad networks such as AdScale, Rubicon Project, etc. Between GDN and programmatic advertising, the latter has definitely a wider audience reach. GDN and programmatic advertising share the same targeting options, such as keyword, topic, interests, and demographic targeting. They mainly differ in terms of the data utilized for targeting. GDN relies on Google search data to segment audience. Meanwhile, programmatic advertising uses a more advanced data gathering algorithm to create a more targeted segmentation of users. It uses several third-party agents for a more in-depth level of targeting as compared to GDN. GDN and programmatic advertising are compatible with all major ad creative formats, such as HTML5, rich-media ads, video, and images. However, it should be pointed out that rich-media ads are more effective than static ads because they engage with the visitor and catch their attention better. Although GDN supports these interactive media ads, a huge number of publishers within the ad network do not support this technology. Publishers accessible through DSPs are more advanced and support these types of ads. In addition, DSPs have a wider inventory of formats and the ad server allows changing of content through the ad server. GDN does not have a minimum spending requirement. You can start at any amount depending on your marketing requirements and you are charged depending on the campaign delivery without extra fees. With programmatic ad advertising, there is usually a minimum fund requirement that ranges from $100 to 10,000 depending on the ad platform you use. There is also some commission percentage and fees. In terms of cost, GDN appears more practical for those just starting out while DSP is for major brands with enough budgetary allotment for advertising or those in a competitive industry who need better digital ads. GDN and Programmatic Advertising are worlds apart. They both have their own strengths and weaknesses. Although programmatic appears more advantageous, you should consider your advertising needs carefully before making the plunge. It’s vital to evaluate whether you really need the extra features that programmatic offers or simply stick with the basic features of GDN, which can still be effective. Finally, always remember that different brands and marketing goals require different advertising approach.